AUBURN — Off busy Minot Avenue, down a road that didn’t exist until last year, Cliff Miller is ready to oversee a cannabis empire. After millions in startup investment, the first plants start arriving later this month. Mystique Way, a group of three Portland-based businessmen, last year bought 32 acres off Minot Avenue, remnants of a 1960 industrial park that hadn’t yet been developed. 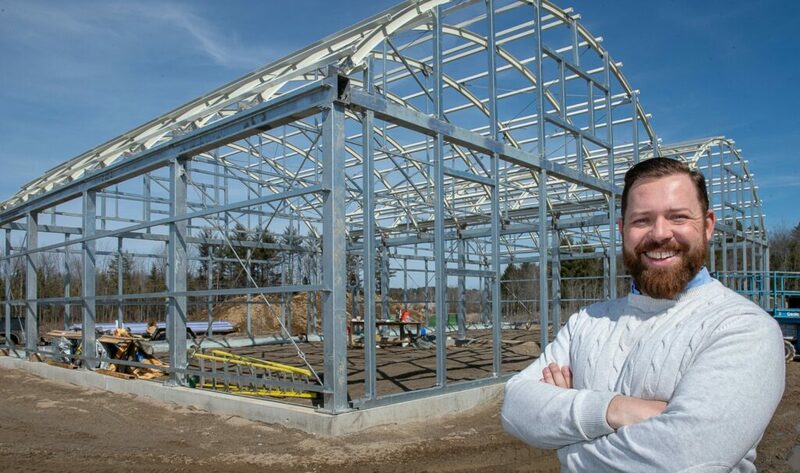 They applied to build a greenhouse on the site, then connected with Miller, head of Atlantic Cannabis Collective, who is building two more greenhouses and consulting on the first. The projects, on a road since named Mystique Way, have already been approved or have pending city permits for more than $3.1 million in work. Miller is forecasting that investment at the site will hit $6 million to $7 million by the end of this year. The area is zoned for industrial use, which allows cultivation, though the city is in the final stretch of creating an ordinance specific to medical and future recreational marijuana sales and growing in town. Miller isn’t stopping at Mystique Way: Once the state hammers out recreational marijuana rules, he has plans for across the street. Miller described himself as a “really bad kid” growing up, expelled three times from two high schools. He worked at the restaurant his mother managed, but she encouraged him to think bigger. That led to a real estate course. “I had to wait to turn 18 before they would issue me my license,” he said. By 19, he’d sold $1 million in real estate, but it was a tough go. He switched to mortgage broker — “I found it much easier to give people my age and older money versus getting them to spend it” — and turned that into a career, first in Maine then Florida, buying and flipping properties on the side. In 2016, his future brother-in-law suggested he keep an eye on the cannabis industry in Maine after voters approved adult use. Miller’s first entry: Financing the lease and build-out of a 4,000-square-foot facility in Brunswick near the police station and subleasing to two medical marijuana caregivers. Within two years, Miller and his wife, Jennifer, settled in Maine, became registered caregivers, outfitted a mill space in Windham for themselves to grow and hired 3C, a consulting firm out of Colorado, to prep for a large-scale project. Getting finishing touches and occupancy permits now at 51 Mystique Way is a 6,400-square-foot greenhouse and a 1,600-square-foot extraction facility owned by Mystique Way. The three owners of the corporation declined to talk about the project. 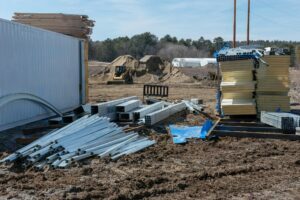 Miller said he anticipates young marijuana plants from his space in Windham will move in there at the end of the month and the business park will officially be growing. Under construction at 60 Mystique Way, on one of the lots Miller leases, is an 11,300-square-foot greenhouse scheduled to be complete June 15. Just beyond that at 70 Mystique Way is a 4,000-square-foot greenhouse also on a lot leased by Miller, scheduled to open June 1. At his two greenhouses, he anticipates eventually having 25 to 30 employees and another 10 to 15 contractors on a trim crew. “By the end of this year, I’d like to have another 13,000 to 26,000 square feet of greenhouse there, as well as an additional (4,000-square-foot) extraction facility,” Miller said. All of the greenhouses will start out being used by already-lined-up medical marijuana caregivers growing under the state’s existing rules, which limit the number of clients they can have and plants they can grow, and then transition to growing for recreational use once state rules are in place for that, which could come as soon as the end of 2019. By the end of this year, Miller also hopes to have things shaping up across the street. Last month, he bought 11 acres at 1315 Minot Ave. with plans to build out a strip mall. He envisions an anchor store occupied by a high-end adult-use cannabis dispensary, a coffee shop, additional retail space and, ideally, a state marijuana testing lab, if he can find the right group to move in and city regulations allow it. Miller said he likes the vibe on that end of town set by businesses like Mac’s Grill and Side By Each Brewing Co., and the traffic coming in from western Maine. 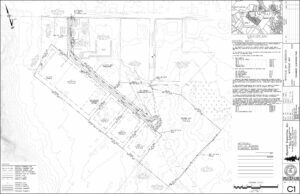 Auburn’s Cousens said that at least starting out, the still-to-be-named business park won’t be the largest cultivation spot in town; Wellness Connection of Maine and the former Cascade Auburn Fiber both have more square feet. Miller anticipates Mystique Way will build more greenhouses as demand increases under recreational-use rules. David Heidrich, spokesman for the state’s Office of Marijuana Policy, said this week he’s hoping the group contracted to write recreational rules finishes that effort by the end of April and has the proposal in front of the Legislature before it adjourns in June. He’d like to see the state licensing recreational retailers and growers by December. He’s hoping people here are comfortable with the development. Aware that behind his planned strip mall will be more land for greenhouses, if desired, Miller said he’s not eager to go there yet. “I still love Maine. I don’t want to bastardize everything with cannabis,” he said, adding that he wants to keep the greenhouses on Mystique Way visually innocuous. “Where if you took a wrong turn with your kids, you could do a turnaround here and you’re not freaked out about it,” he said. Once it’s launched for adult use, he hopes to have his local pastor out to bless the property. Miller said all but one of his business partners are Maine-based, and that one is a good friend in Florida. They’ve taken out no loans so far for the project. “My goal is to be the largest cannabis company in the state of Maine,” he said. Miller recently talked big picture with a member of a private equity group in Portland.